The Chinese consumer culture has shown explosive changes over the years. Nowadays, it’s easier for people to make purchases without the need for cash and wallets. Because of this, brands have moved their marketing efforts toward platforms like WeChat. This makes it easier for their target audience to get to know their brands, and make purchases from the inside. But if you are a brand entering into China’s highly competitive market, how do you adapt and understand the buying behaviors of your target market? Asia Tech Podcast is Asia’s newest radio show that is dedicated to the exciting world of tech startups in Asia. Every week, its founders Graham Brown and Michael Waitze interview leading names in the Asia Tech Ecosystem. Here they talk about topics such as startups, venture capitals, accelerators, and seed funding. They also discuss the latest technologies in artificial intelligence, mobile telecoms, and EdTech. Asia Tech Podcast also talks about entrepreneurship as well as topics relating to digital nomadism and co-working spaces. Greg Prudhommeaux has been living in Shanghai for more than ten years now. He has gained personal and professional insights about the consumer culture in China. For years, he has also helped brands and businesses break into the fast-growing Chinese market through consultation and marketing. Because of this, Asia Tech Podcast invited him over to get a deeper understanding of the Chinese market and the buying behaviors of the Chinese customers. Here they talked about Greg’s insights of the Chinese market as an outsider looking in, how important WeChat is for companies entering the market, the fast pacing of Chinese consumerism in the last 12 months, and how he helps businesses get started through his own startup, NextStep. WeChat has been such a powerful platform that has changed the way business is done in China. From personal to business communications, WeChat has taken over most business processes. It has even taken the place of emails and in-house communication tools for some companies. WeChat also serves different functions that people use every day. Cashless transactions have made buying products and services easier. In fact, most people find that there is no need to bring cash or their wallets when making a purchase. Go Dutch with friends and split the bill without any hassles. Send money to friends and relatives with just a tap of a button. Even street vendors and cab drivers provide QR codes for payment options. Because of this, Greg’s advice his clients to download WeChat on their phones when they arrive in China. This is because most information and communication between consumers and businesses happen inside the platform. 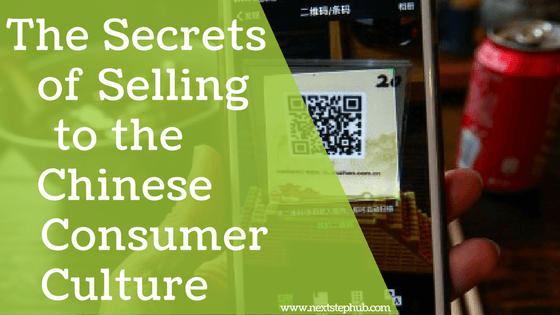 As a foreign entrepreneur, you have to create a marketing strategy based on how WeChat works. WeChat gives you the necessary insights you need to help establish your brand and introduce it to your target market. It also gives you a chance to communicate with them and get to know what they want and need. Get an insider’s perspective on the Chinese consumer culture and how the market works through Greg’s interview with Asia Tech Podcast. To learn more about the latest trends in Asia’s Tech and Startup Ecosystems, visit Asia Tech Podcast today.